In this fast-advancing technological world we live in, more businesses are making the transition from a brick-and-mortar workplace to a virtual office. When you eliminate the overhead costs pertinent to maintenance, rent and insurance at a physical location, you can pass the savings on to your customers, clients and vendors; you can also reward your employees with more pay, perks and bonuses. A virtual office can run with the same level of efficiency as a traditional workplace setting. Digital tools for time management, communication, database record keeping, answering services and conference calls can all be handled on a virtual platform. 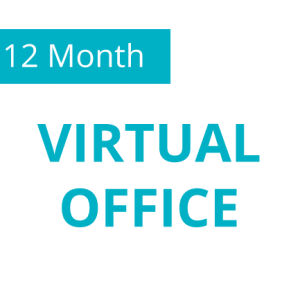 Here are some of the most rewarding aspects of running a virtual office. When you add up the costs of maintaining a traditional office space and compare them with the cost-saving benefits of transitioning your business into a virtual entity, the results are astonishing. Costs like rent, insurance, maintenance, utilities and supplies can put a huge dent in the profit margin of any business. 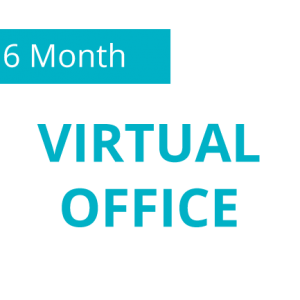 When you choose to streamline your business and shift to a virtual office, you eliminate the need for a lease and maintenance on a building. You will save so much money by shifting to a virtual office that you will easily be able to add new products and services to your existing business model; you can also invest in new ideas that will grow your business which will bring in new clients and customers. Additionally, is possible to benefit from virtual office services for whatever length of time you need it. It is not necessary to sign a long-term contract committing you to year tenancy of office space or any such thing. When you offer your employees more flexibility by transitioning to a virtual office, the amount of productivity, creativity and happiness will increase exponentially. By eliminating the daily commute, your employees will be able to get more sleep each night. As a result, you will notice a significant positive shift in both focus and energy from your staff which will translate into new and fresh ideas that can boost sales. A virtual office is an eco-friendly option and greatly reduces your carbon footprint. In addition to eliminating air pollution pertinent to carbon emissions from a daily commute, a virtual office also greatly reduces the amount of in-office waste from paper, ink and other office supplies that are used often in a traditional office setting. A virtual office affords you the flexibility to take your work with you on the go. Even if you do not travel at all for your business, going virtual gives you the option to work while on vacation; you can work from your laptop or even a smartphone while lounging by the hotel pool with your family. You can utilize VoIP technology to create call forwarding services, messages, menus, video conferences and instant messaging services to keep in constant communication with your employees, clients, customers and vendors from any location that offers an internet connection. In today’s digital economy it is perfectly possible to conduct your entire business from your kitchen table. You can have virtual assistants strategically located in different time zones to handle customer queries 24 hours a day. You can work with your suppliers, transportation team, designers, accountant and bank manager all from the comfort of your own home. Or you can be constantly on the move. A digital nomad, conducting business while you travel the world. While this is all possible and increasingly common, the truth is, your clients don’t want to think of your business as a ‘work from home’ operation. No matter how successful you are, a physical location, especially one like the central London address and mailbox offered by N1 Mailbox, adds credibility to your business. Shifting from commuting to being at home with family typically requires ample time to both gear up and wind down from a long day at the office. When your home is also your office, you can quickly transition to and from work with greater ease. A remote work environment is much less stressful than commuting to a traditional office space. Employees with children can be a constant fixture in their young lives while simultaneously making money. This work-life balance creates less stress and happier employees; this translates into a focused and productive virtual office team. Whether you are looking to shift to a virtual office for the cost-saving benefits or to afford bringing on more employees, a digital business offers the same level of professionalism as a traditional office setting. Virtual offices have been proven to boost morale and productivity and create a more streamlined business model. With the portability of a virtual office, you can expand your market to network with potential new clients and customers all over England and Europe. You can arrange conference calls, send instant messages to your employees, manage your database and generate new sales leads all from the comfort and convenience of your home office.